This is a fork of the original project, due to the inactivity of it. Of course, you should have installed GNUstep (except on MacOS where it uses Cocoa natively) and Pantomime. 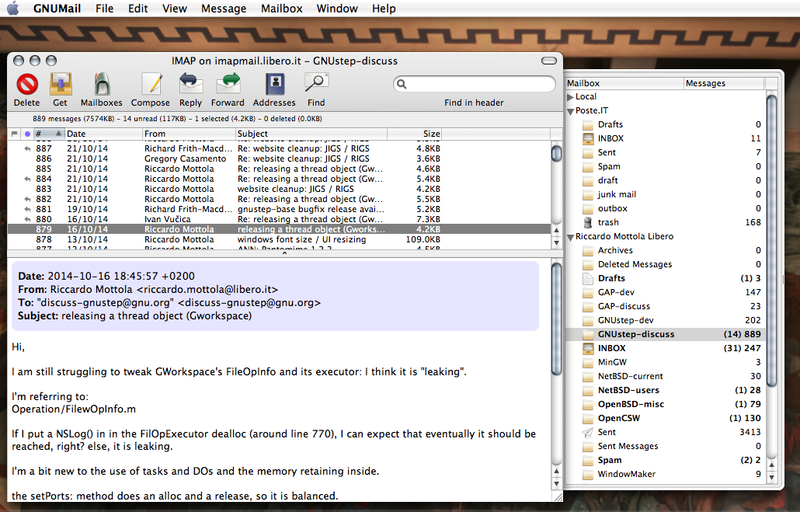 GNUMail is free software; you can redistribute it and/or modify it under the terms of the GNU General Public License as published by the Free Software Foundation. Germán Arias, Riccardo Mottola, Sebastian Reitenbach and others. 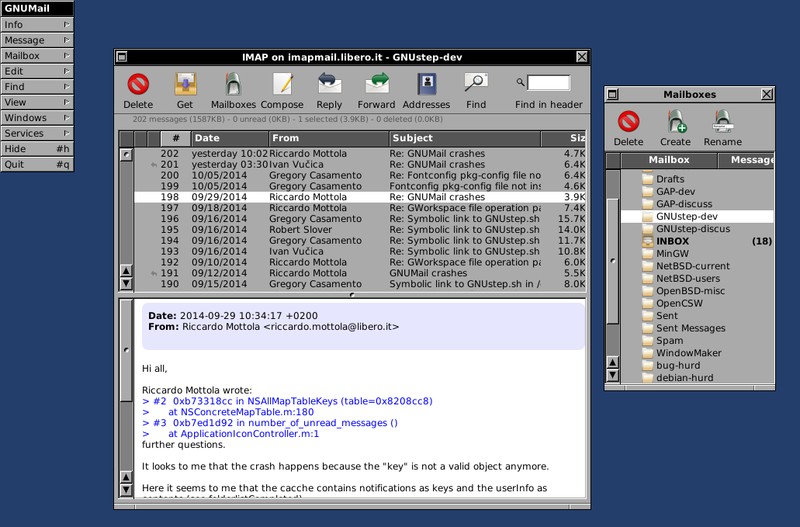 To contact them write to discuss-gnustep@gnu.org.